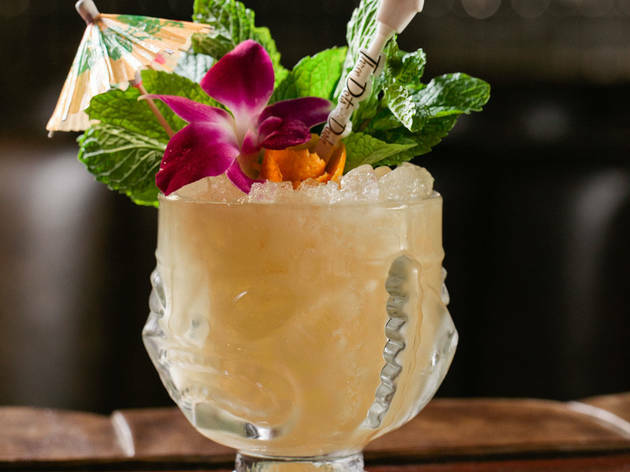 We tried 16 tiki drinks—and two punches!—at Paul McGee's Three Dots and a Dash, all in the name of research. 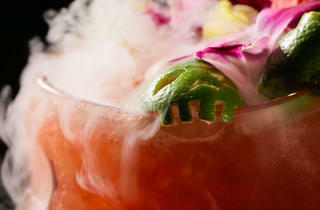 Photograph: Anjali PintoThe four-rum Zombie punch is available at Three Dots and a Dash in River North. 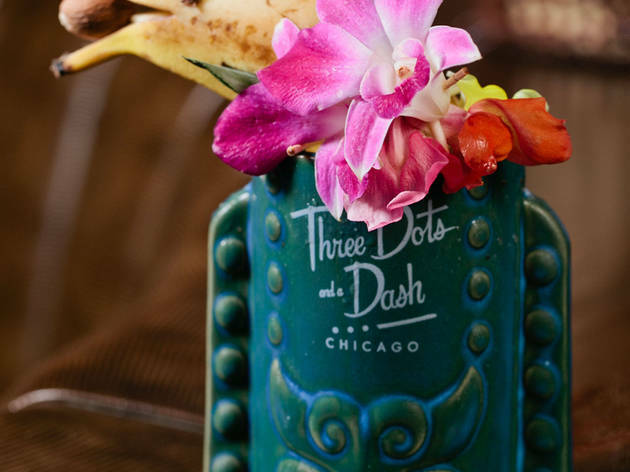 Three Dots and a Dash opened July 31 in River North, underneath Bub City. 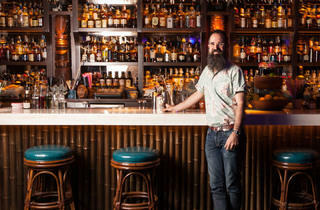 Paul McGee is the bartender behind Three Dots and a Dash, which opened July 31 in River North. 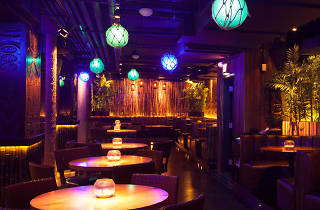 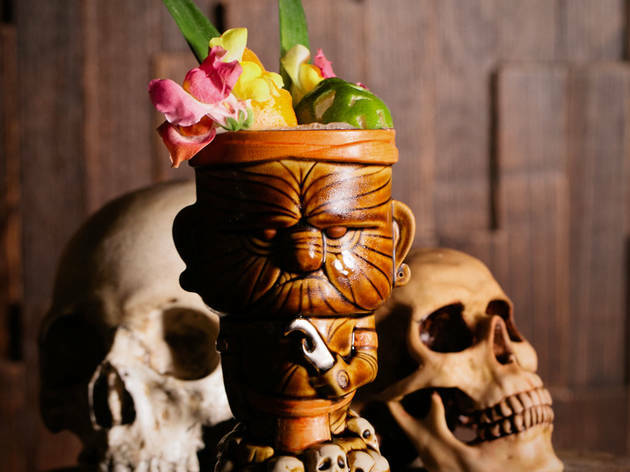 Photograph: Anjali PintoA Lonely Island Lost in the Middle of a Foggy Sea is a tiki drink at Three Dots and a Dash. 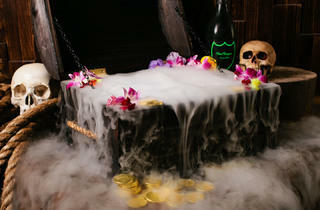 Photograph: Anjali PintoThe Treasure Chest No. 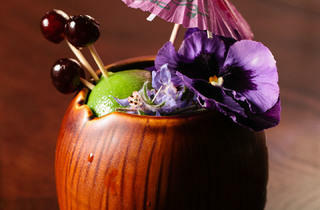 1 is a tiki punch available at Three Dots and a Dash. 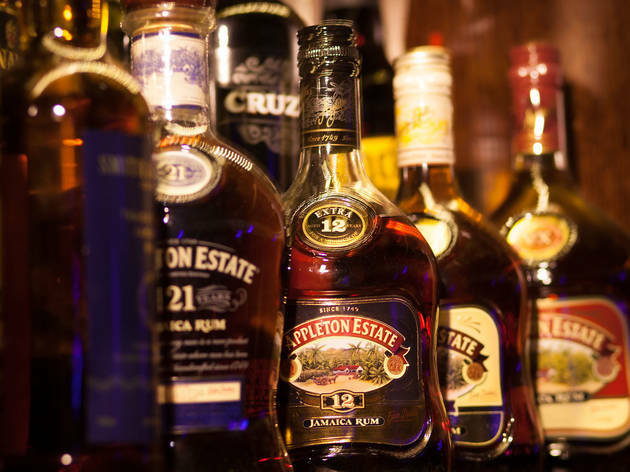 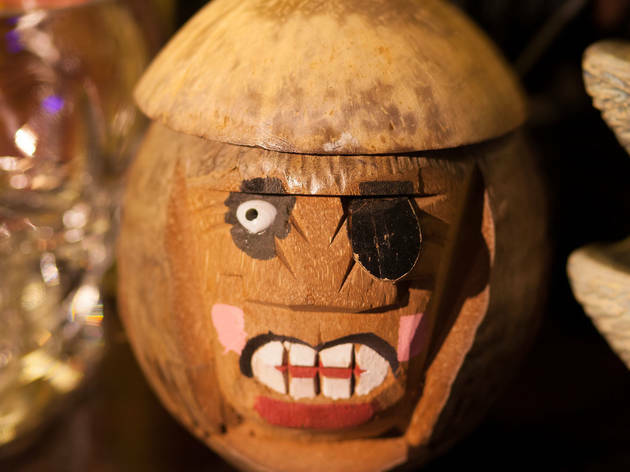 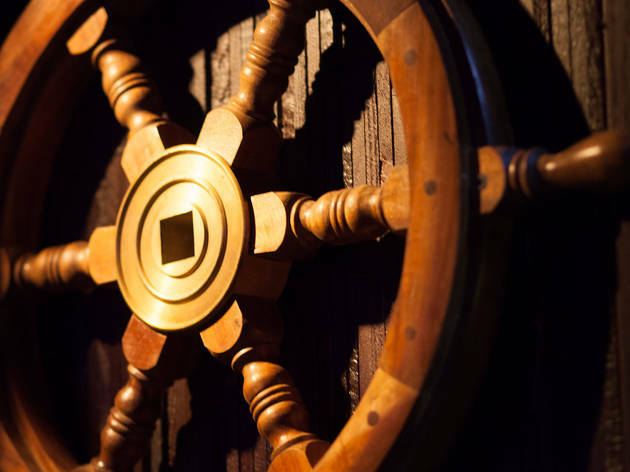 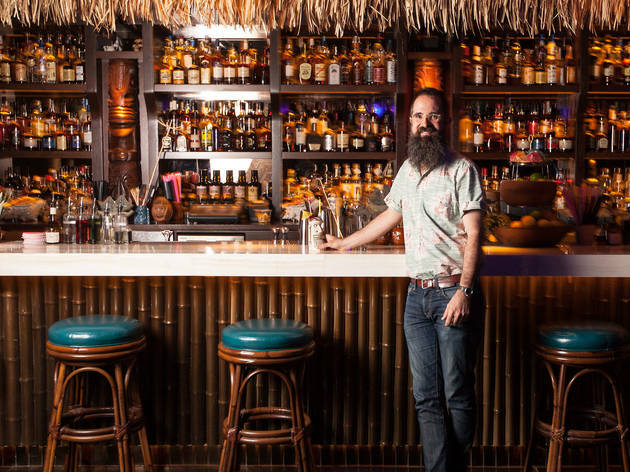 Three Dots and a Dash has an extensive selection of rums, which are used in tiki drinks. 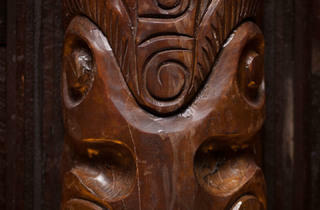 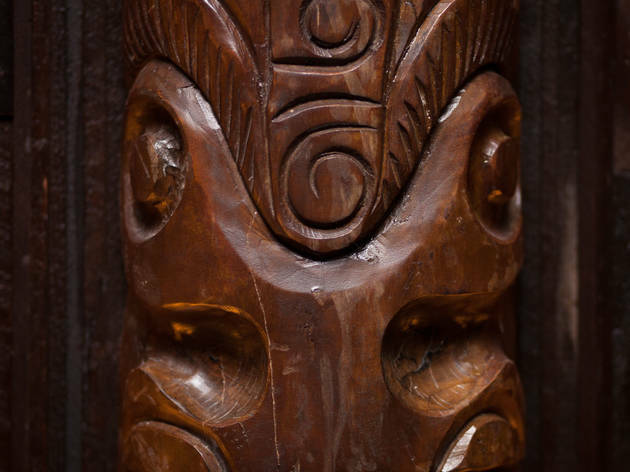 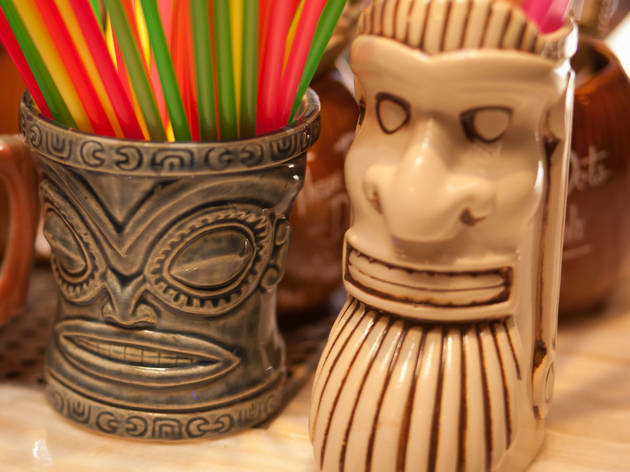 Photograph: Anjali PintoThe Pago Pago is a tiki drink available at Three Dots and a Dash. 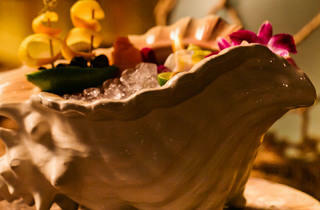 Photograph: Anjali PintoThe Jungle Bird is a tiki drink available at Three Dots and a Dash. 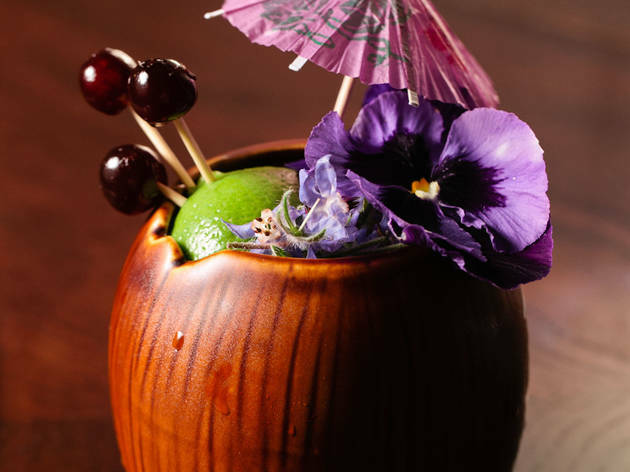 Photograph: Anjali PintoThe Christmas in July is a punch available at Three Dots and a Dash. 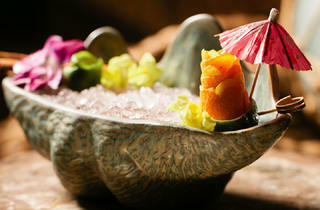 Photograph: Anjali PintoThe Halekulani is a tiki drink now available at Three Dots and a Dash. 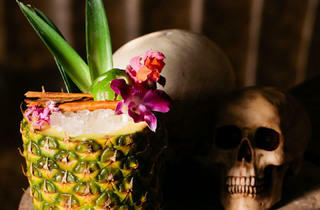 Photograph: Anjali PintoAloha, Mexico is a tiki cocktail available at Three Dots and a Dash. 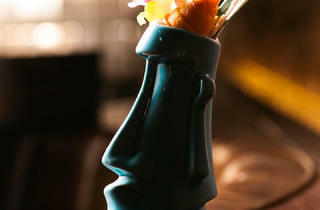 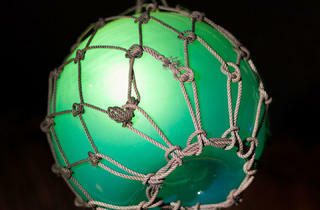 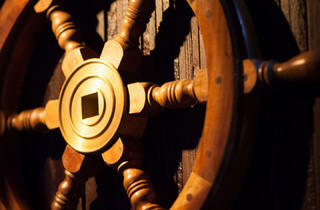 Photograph: Anjali PintoThe Saturn is a tiki cocktail available at Three Dots and a Dash. 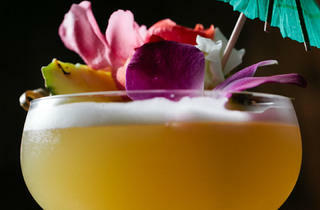 Photograph: Anjali PintoThe Mai Tai is a tiki cocktail available at Three Dots and a Dash. 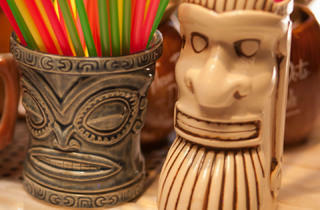 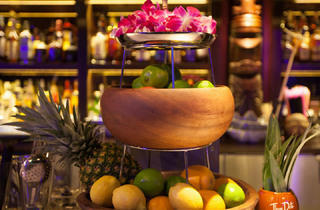 Photograph: Anjali PintoThe Planter's Punch is a tiki punch available at Three Dots and a Dash. 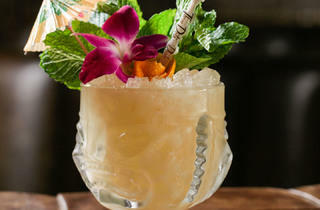 Photograph: Anjali PintoBunny's Banana Daiquiri is a tiki drink available at Three Dots and a Dash. 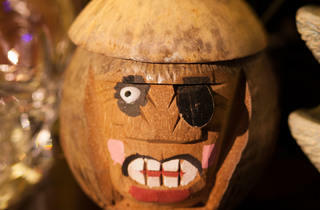 Photograph: Anjali PintoPainkiller No. 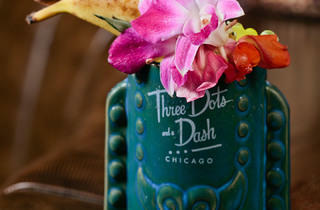 3 is a tiki drink available at Three Dots and a Dash. 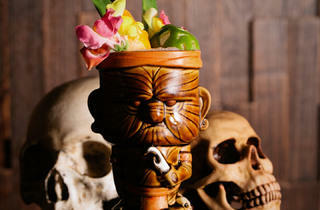 Photograph: Anjali PintoThe Zombie is a tiki punch available at Three Dots and a Dash. 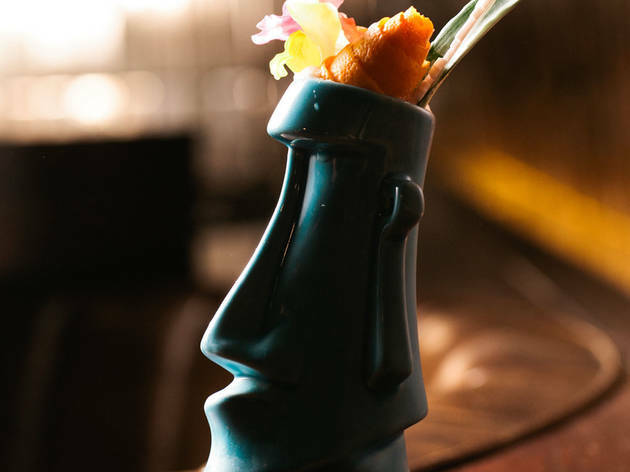 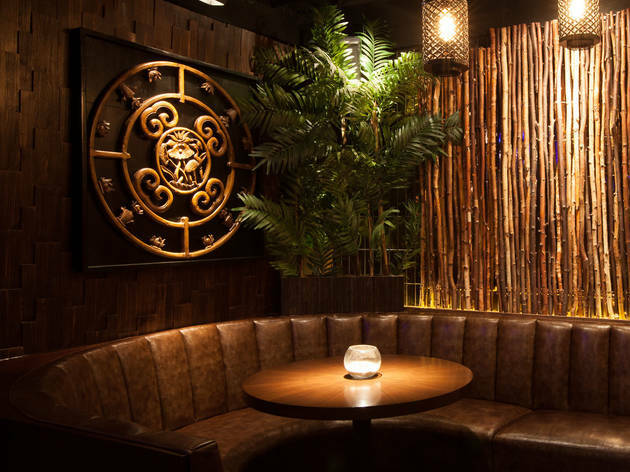 After waiting what felt like years (it was almost a year and a half) for Paul McGee to open his subterranean tiki lounge Three Dots and a Dash, we knew we had to visit opening night and do it right—by drinking every single cocktail on the menu. 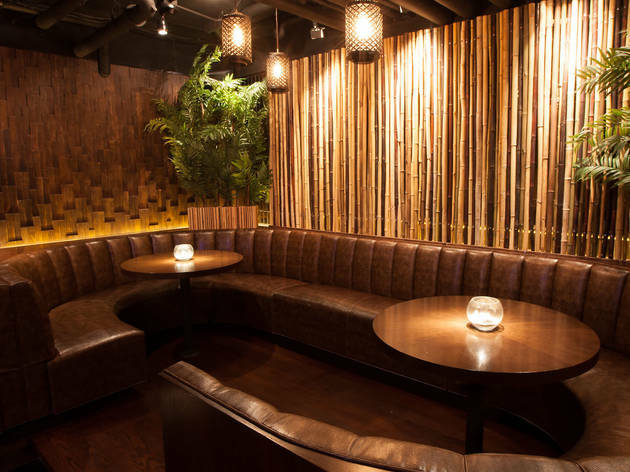 The bar, located beneath Bub City, has an alley entrance off Hubbard, so look for blue lights and a guy with an earpiece manning the door. 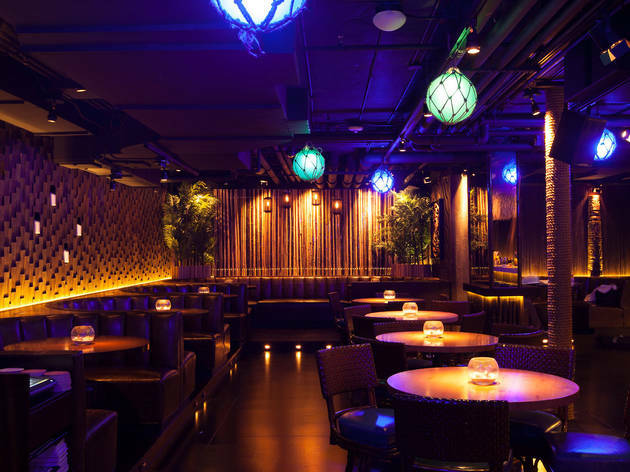 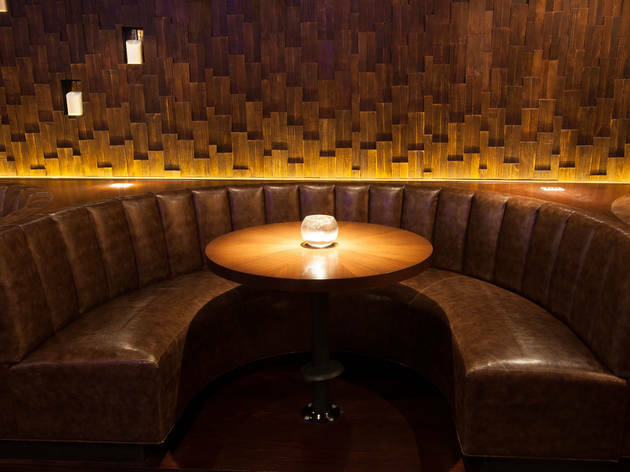 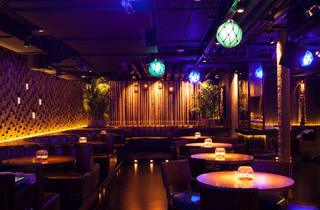 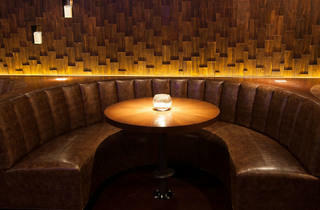 Three Dots is downstairs, and aesthetically, it’s exactly what we expected. 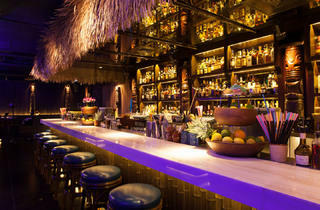 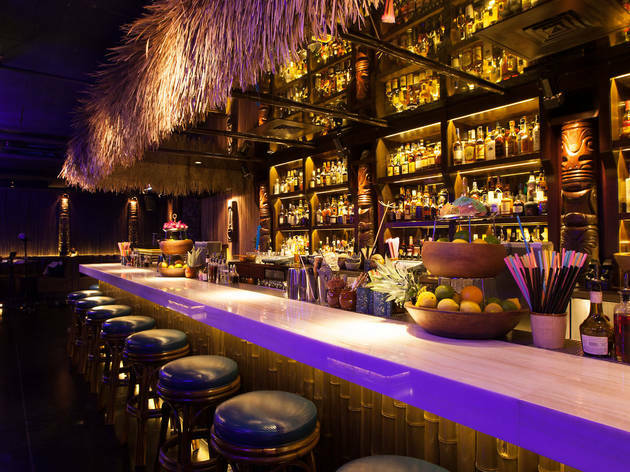 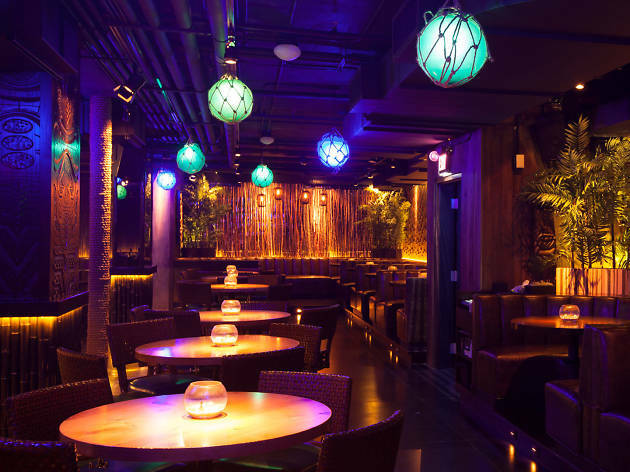 There are wooden tiki heads behind the bar, a wall of skulls, palms, servers in flowered dresses, colorful lights, and swizzle sticks with a tiki head that looks like Paul McGee. 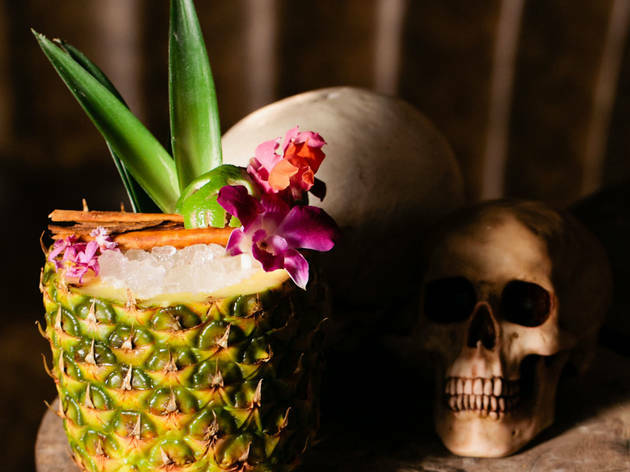 We rounded up five people to drink through the 16 cocktails, which really doesn’t sound all that hard, until you realize that some of these drinks have little skulls printed next to them on the menu, which means that they are “drinks of impressive strength.” This is accurate. 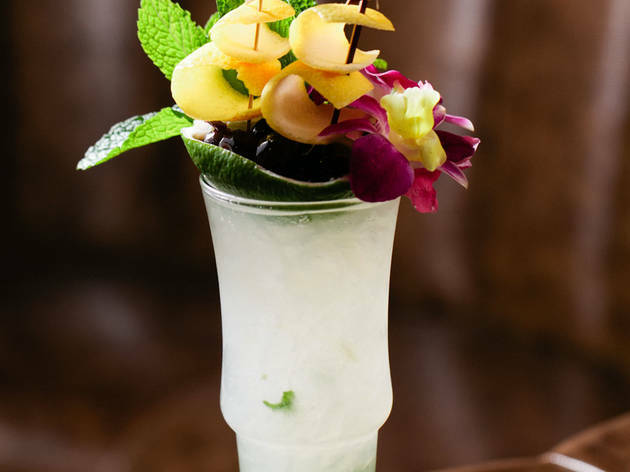 And each drink seemed larger than most other cocktails you’ll find around town. 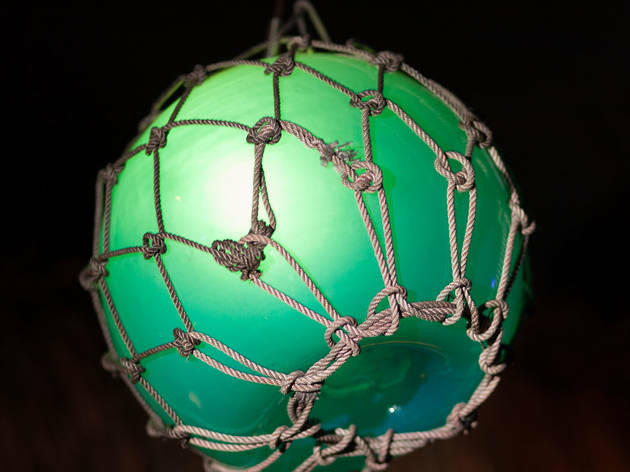 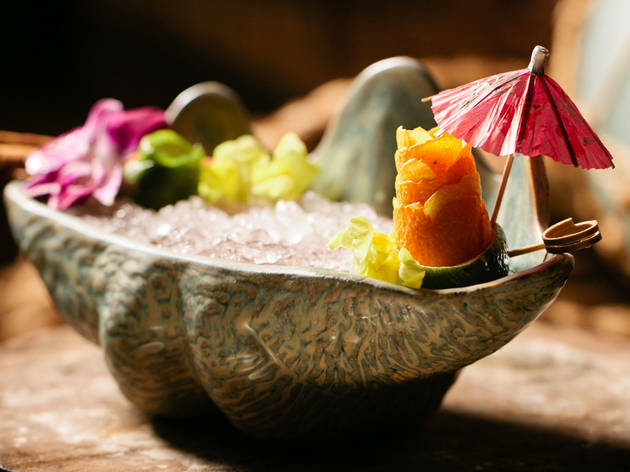 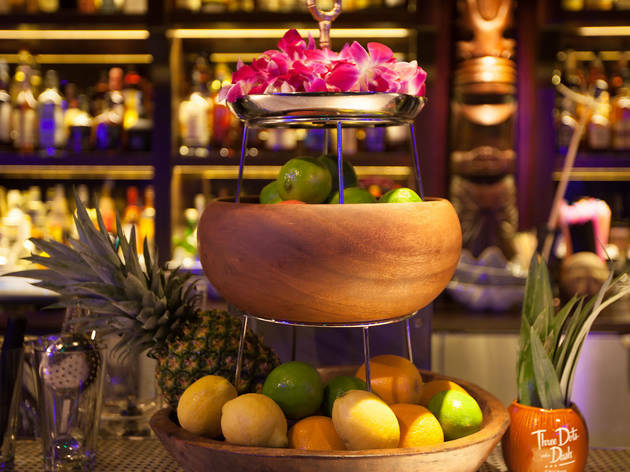 The menu features eight classic tiki drinks and eight modern tiki drinks, 13 of which are rum-based, and all of which come with an abundance of garnishes, like paper umbrellas, orchids, swizzle sticks, maraschino cherries, leaves and curls of citrus peel. 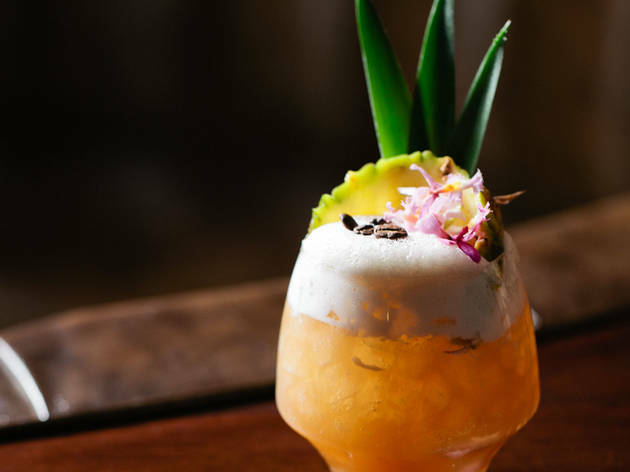 We started slowly with the lighter drinks—the namesake Three Dots and a Dash, made with aged rhum agricole, Guyanese rum, honey, falernum, lime, allspice and angostura bitters; a Mai Tai, with aged rhum agricole, Jamaican rum, lime, curacao, macadamia orgeat and mint; and a modern tiki drink, the Tropic of Thistle, made with aged Puerto Rican rum, aged Caribbean rum, Batavia arrack, Cynar, Luxardo Amaro Abano, lime, cane syrup and mint. 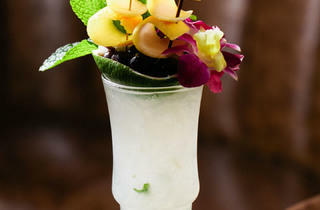 We passed the drinks around the table until we wound up with our favorites. 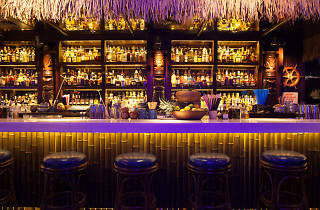 The plan was to just try all 16 cocktails, but once we reached the end of the list, it was 12:45am and we weren’t really that drunk (at least compared to the people we encountered in the bathrooms). 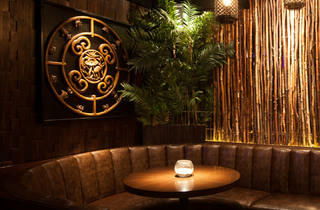 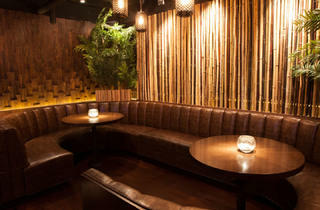 So we looked at the punch list, which features four punches, and ordered the Planter’s Punch, which serves 4-6 people. 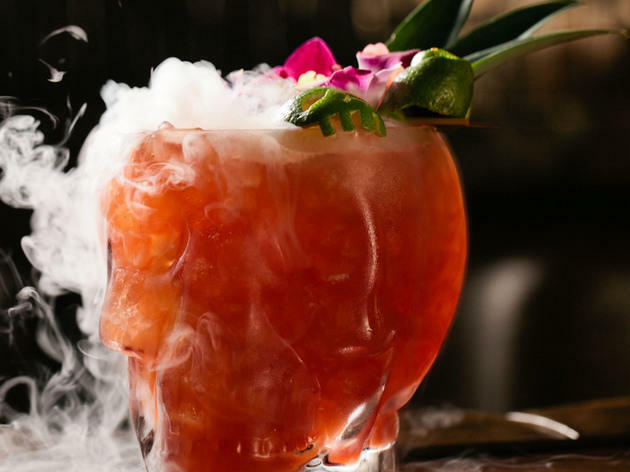 It’s made with three rums, lime, grapefruit, grenadine, and angostura and came with an orange carved into a skull. 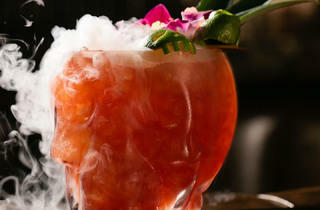 After we finished that, we tackled the Zombie Punch, which came out in a crystal skull glass. 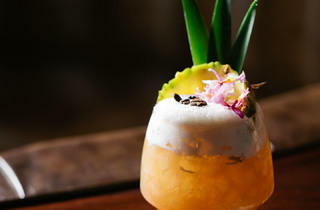 It had a mix of four rums, lime, grapefruit and cinnamon poured over crushed ice and little pieces of bread set on fire. 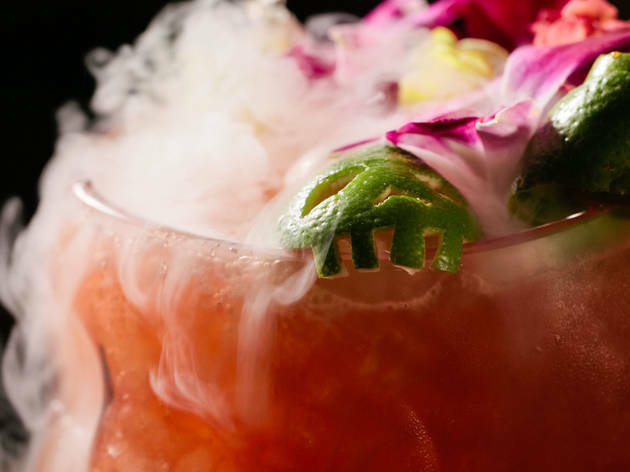 And because we were very drunk by then, we tried the fiery bread after the flames were extinguished, and can say that you should probably not eat it. 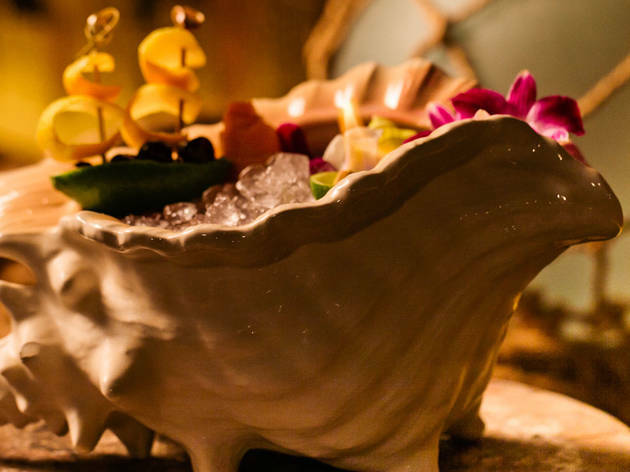 At that point, the bar closed, which was a good thing, because we did not need the three-rum Christmas in July punch or the utterly insane Treasure Chest No. 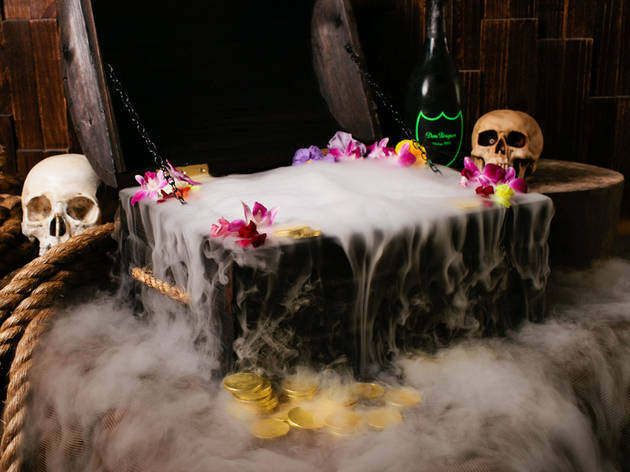 1, a $385 drink that comes served in a big treasure chest with a bottle of Dom Perignon. 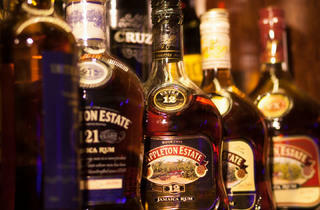 So how was everything? 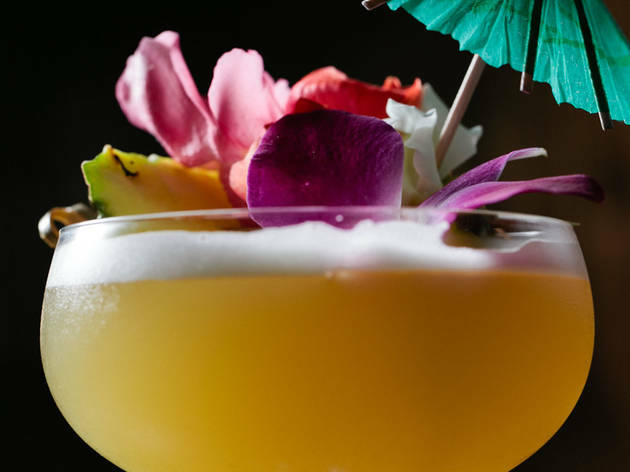 We’re planning to review Three Dots and a Dash once it’s been open for at least a month, but we’ll say that we finished every drink in front of us. 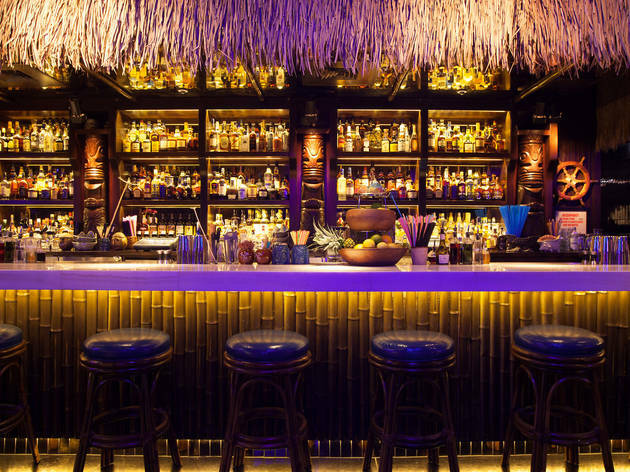 And we got multiple orders of coconut shrimp from the Island Fare menu, which also features crab Rangoon, curry chicken skewers and Thai fried chicken.